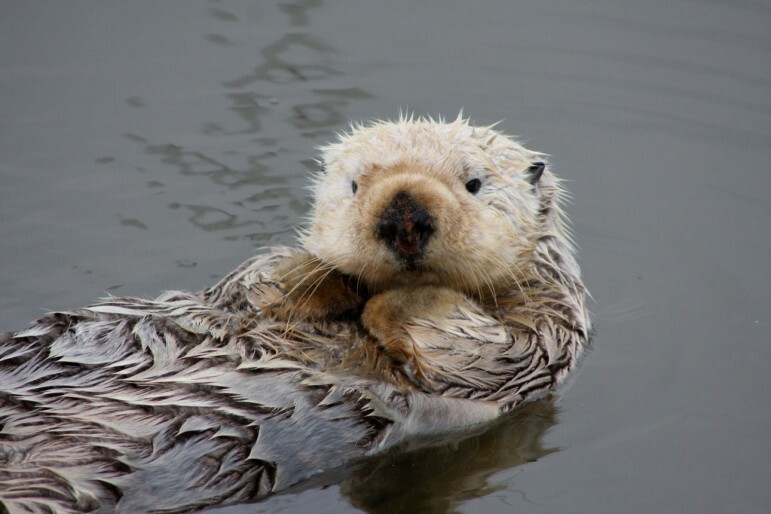 Sea otters live and play in the waters off the Pacific coast. They are one of the few animals known to use tools – they use small rocks to open shellfish. The otters play an important role in controlling sea urchin populations, which would otherwise damage the kelp forest ecosystem. They were thought to be extinct from the California coast, until 50 otters were found near Big Sur.